Pre-tour transfer from Launceston or self-drive to Scottsdale. Depart 2.00 – 5.00 pm to hunt the elusive platypus and relax to the afternoon sounds of the bush chorus from nearby birds. Enjoy a campfire dinner with a Tassie beer or wine while you capture the timeless ambience of Tasmania’s forest, As the sun goes down, hear the chuckling of kookaburras and take an enchanted walk under the stars for an understanding and appreciation of Australia wildlife movements in the Tasmanian bush. Experience the excitement and magic as nocturnal creatures appear from the bushes and trees and go about their business in looking for their nightly tasty forest meal. Features brush tail & ringtail possums, pademelon & Bennett’s wallabies and Benny’s bettongs. 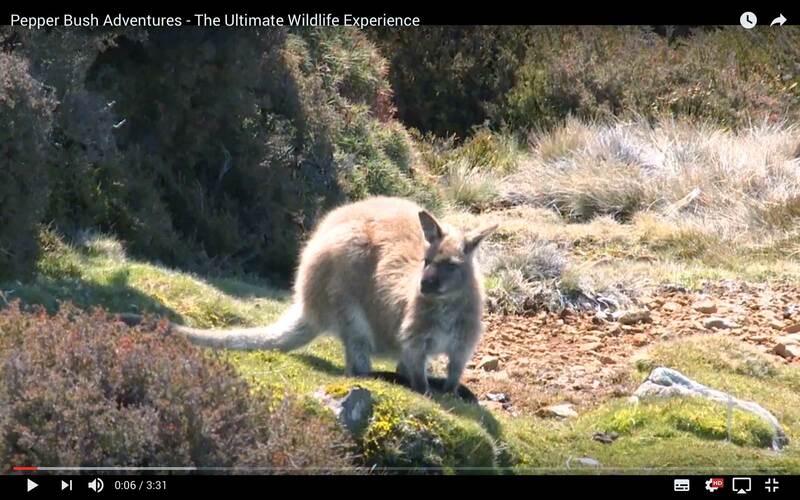 A morning departure from Launceston to travel to the Trowunna Wildlife Park for a private Tasmania wildlife tour, you can cuddle a wombat and meet the Tasmanian devils, spotted tailed quolls and other fur and feathered residents. Lunch at the Deloraine Deli before travelling to Scottsdale to check-luggage at Beulah before your Canopy Capers tour. Tasmania wildlife tour – Depart Scottsdale for Ben Lomond National Park, a spectacular mountain of dolerite columns and scree slopes. Impressive views and a stunning array of alpine vegetation are on offer. From Tasmanian Parks & Wildlife, “The Ben Lomond National Park is invaluable for the conservation of the flora communities and species diversity of Tasmania’s alpine areas. The area consists of an outstanding variety of glacial and periglacial features which are considered of national significance”. A picnic lunch before travelling via the Roses Tier Forests to the Tyne Valley for a campfire dinner with the forester kangaroos. Relax by the camp fire as our field of dreams comes alive with eastern quolls, brush-tail possums & Tasmanian pademelons visiting the camp fire while Bennett’s wallaby and wombats graze close-by.